He started with a pair of dumbbells and advanced his knowledge through Bodybuilding.com. Josh emulates the late Zyzz and lives the lift life. You can too! 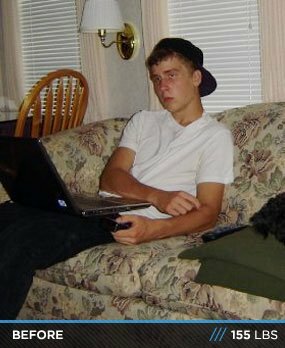 It all started the summer going into my junior year of high school. I was tired of being the skinny guy and started looking up home workouts on YouTube. From there, I bought a set of dumbbells, hit the gym, and performed basic workouts for two months. SNAP Fitness was my first official gym membership. It had the basic equipment to start my foundation. I found Bodybuilding.com and started familiarizing myself with different exercises by following the workout programs provided on the site. At this point, I was keeping track of my workouts and it worked. I stayed at this gym for two years. This year, I took my workouts to the next level by working out at multiple gyms. Every crowd is different and I learned lots from everyone. I started reading everything related to bodybuilding and bought The New Encyclopedia of Modern Bodybuilding by Arnold Schwarzenegger—a book every bodybuilder should own. During the summer, I worked out twice a day, six days a week with one day off. I was in the gym each day for 3-5 hours. People say I'm overtraining, but I think it's a myth. The more time I put in the gym, the better results I get. It's that simple. If you want to be successful you have to work for it; you have to be willing to put in the time to get the results. My life changed for the better. I'm happy with the lifestyle I live and look forward to the gym. I created a body I'm happy and confident with. Setting short-term goals is the key to success. If you can't succeed at short-term goals, you will never reach your long-term goals. This helped me accomplish tons this year. Find a role model who suits you. Find someone who's helpful; someone who gets you pumped up to hit the gym. My role model is Zyzz. Find yours. Read everything. The more knowledge you hold the faster the results come. It comes down to eating clean, training hard, and using supplements wisely. I achieved my body through these three steps. It's doesn't happen overnight. The biggest challenge for me is affording the proper nutrition and supplements. Bodybuilding isn't cheap, especially being a student. I think I'm doing alright though. My goal for the future is to compete next year at the Toronto Pro Show in men's physique. I'll see where that takes me. Learn how to properly eat right from the beginning. This is a mistake I made. If you want to see fast results, this is the best way. Nutrition and training plans goes hand in hand. You need both to be successful. 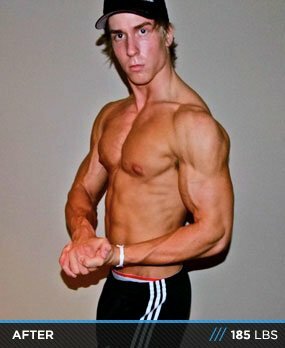 Bodybuilding.com helped me get from where I was to where I am now. It has all the fitness information you could possibly ask for; cheapest supplements, fast shipping and great workout plans. BodySpace is great to keep track of your stats and watch your progress happen. If you don't have a BodySpace, I highly recommend making one.